HIV Pol peptide pool sequence. Each peptide is 15 amino acids in length. Order Now at $50/0.5mg! Download the HIV pool sequences. 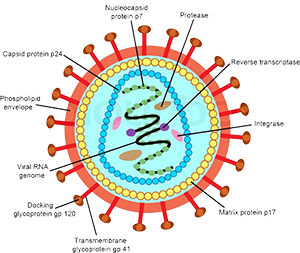 LifeTein offers overlapping peptide pools (peptide mixes of overlapping peptide scans from virus or tumor antigens such as HIV peptide pools) or mixed antigenic peptide pools at competitive pricing. The synthetic pooled peptides are much more robust and reliable for T-cell stimulation than proteins or lysates. The peptide pool can be used for antigen-specific stimulation, T-cell epitope identification, immune monitoring, assessment of vaccine efficacy, cellular immune response profiling, and evaluation of neoepitopes. Please click here for the peptide pool service quote now!